Boston, Massachusetts - Today, we are announcing the release of “Sudoku For 2” app, which enables a brand new way for Sudoku loving players to enjoy Sudoku puzzles. With Sudoku For 2, players can now play Sudoku with friends, with families, or with any player that loves playing sudoku. The game is available for iPhone, iPad, and iPod touch for just $.99. Sudoku is one of the most popular puzzles game of all time. Millions of people, across different generations, countries, and languages, play Sudoku everyday and enjoyed every minutes of solving it. But they have never being able to enjoy the game socially. Until now. Sudoku For 2 is unlike any other games in app store; it enables Sudoku players to play together, solving puzzle together, or compete with each other. Our unique game play engine makes every game fun and challenging. 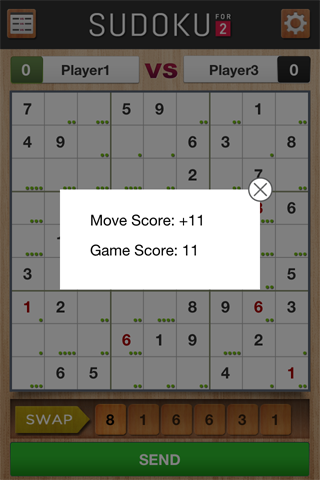 Players will enjoy Sudoku like never before. Unique Dynamic Scoring: Gain points when you placed correct number. 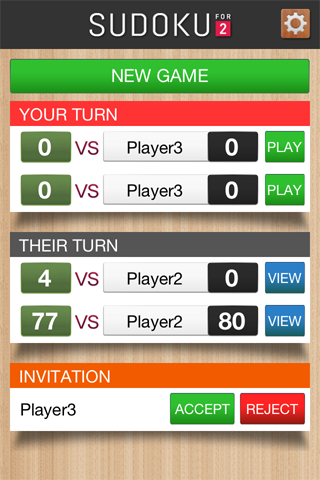 Unique Game Matching: Invite friends to play with you or play with random players. Unique game play makes every game fun and challenging. 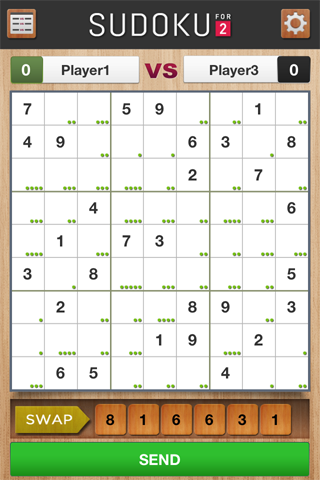 Endless Sudoku puzzles as every game is different. Collect Sudoku Points when you complete a game. Enjoy couple casual Sudoku games. Working together to solve any Sudoku puzzles. The game is available today on app store for iPhone, iPad, and iPod touch for just $.99.